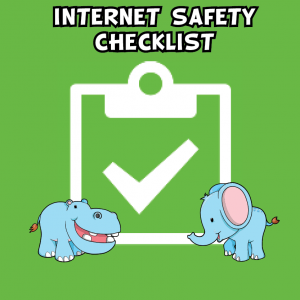 In line with our policy regarding the use of Internet and Technology in nursery, we have put together this useful guide for Parents, to provide relevant information that can help keep children safe online. The Internet is ever expanding and the possibilities are endless; keeping in touch with family across the world, using online resources to aid with learning and development as well as making our shopping experiences easier by ordering online. Unfortunately, it can also be used in a negative way as well. It is up to us as carers, parents and guardians to keep our children safe and that starts with recognising the issues and understanding ways in which we can prevent them happening. More and more pre-school children are using mobile devices, tablets, laptops and computers on a regular basis to play games, use apps and watch their favourite TV shows. There are some very simple things you can do to keep them safe when browsing online. 32% of children aged 3-4 use the internet though a PC or laptop. 22% of children aged 3-4 watch TV programmes on devices other than a TV. 47% of parents worry about how much time their children spend online. This video helps you understand what you can do to give very young children the best experience of going online. The clickable links will lead you to more information. Talk with your child about the Internet and show them the fun and educational things they can do online. You can install parental controls on your home PCs to prevent your child seeing something they shouldn’t. You can read more about that here. Set passwords on your Internet-enabled devices, so you know when your child is accessing the Internet. Also, many available apps come with in-game purchases, so a strong password can prevent any unexpected bills from iTunes and other app stores. You can set search-safety settings in the main search engines, such as Google and Yahoo. You can find out about them here and here respectively. There are great kids’ search engines too, such as Swiggle and Kids-Search. Create a separate user account on your computer that your child has access to and then set some parental parameters. On a Windows PC, you can learn how to create new users here and set up parental controls here. You can then set the Internet homepage as CBeebies to minimise the risk of them finding something else. Have the home computer in a communal place, so that you can keep an eye on them and join in to share the fun with them. 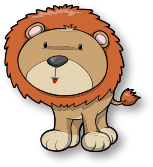 You can find some really good, free educational games online to introduce to your children. 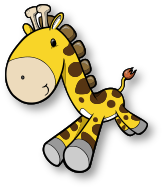 Websites such as Nick Jr, Fisher Price and CBeebies are great examples. Set time limits on how long your children can spend on the Internet. InternetMatters.org is a fantastic website (the best we have found), which contains lots of resources for children and parents on the importance of Internet safety. BBC Stay Safe Website has lots of great resources for you to learn more about Internet safety.